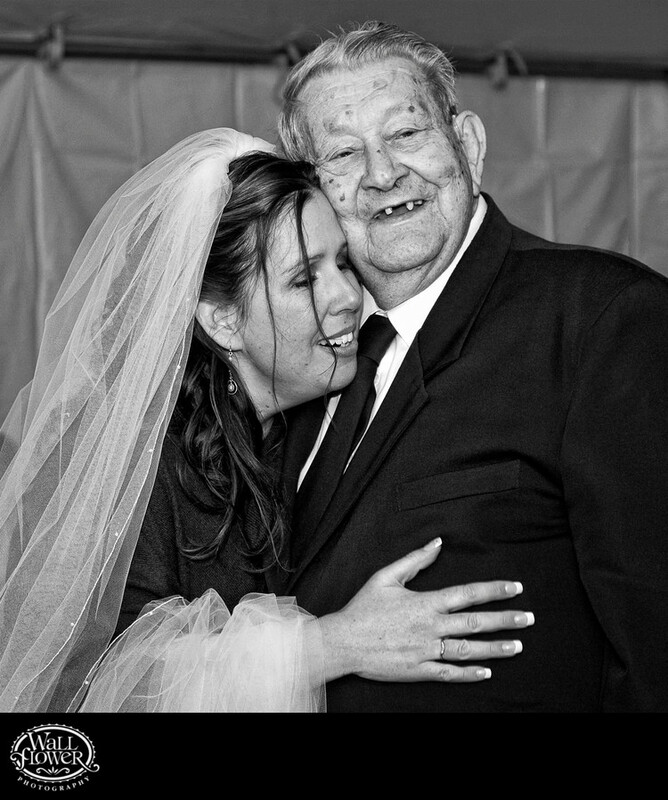 This is just a simple photo of a beautiful moment as the bride spontaneously gives her grandpa a hug late in her wedding reception at Copper Creek Inn in Ashford, Washington, near Mt. Rainier National Park. It rained all day during this September wedding, and nearly the whole thing was held under this shelter. I think the close quarters just brought everyone a bit closer together! Converting this photo to black and white keeps your eyes on their faces.